My 6th great grandfather. 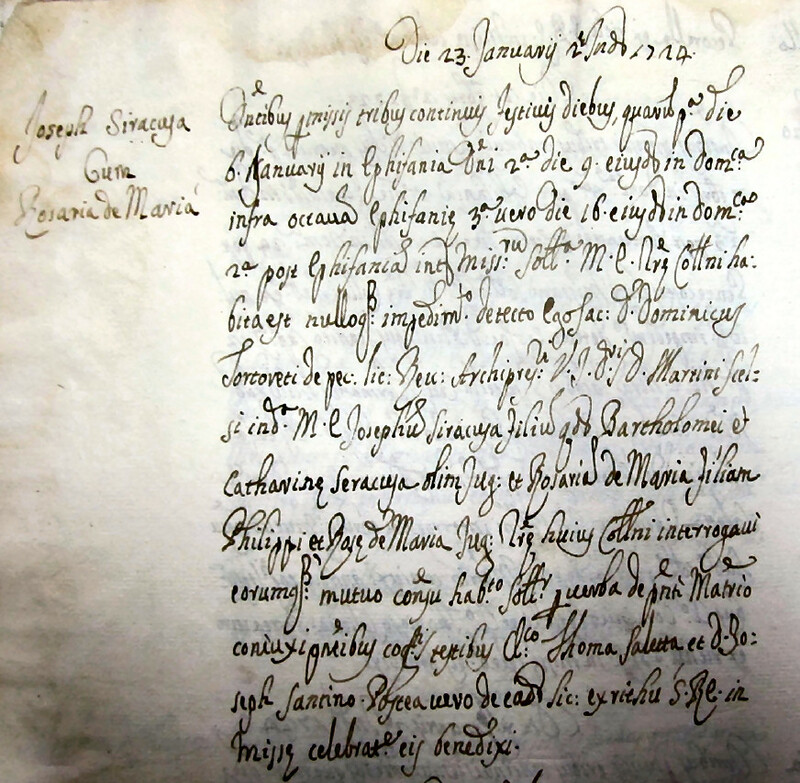 This is his marriage record from the archives of St. Peter Apostle Church in Collesano. Note the spelling of the last name on this record is "Siracusa" with a C instead of a G. While there are no civil records (1820+) with the last name spelled that way, there are some church records (such as this one) listing the last name as Siracusa -- a clear reference to the Sicilian city of the same name and the orgin of the surname.